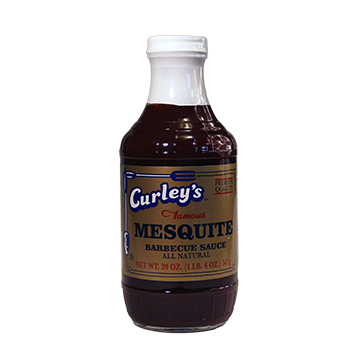 Curley's Famous Mesquite Barbecue Sauce - Garden Complements, Inc.
Curley's Famous Mesquite Barbecue Sauce gets its distinctive flavor from mesquite wood. 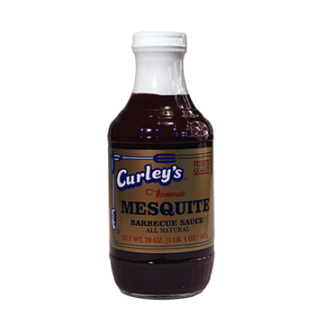 Apple cider vinegar, natural sugar, celery seed and sweet spices are added to create a savory sauce. Water, sugar, tomato paste, vinegar, salt, natural smoke flavoring, food starch-modified, spices, dehydrated garlic, caramel color, sodium benzoate (less than 0.1 of 1%) to preserve flavor, dehydrated onion.